UPDATED: Thu., May 25, 2017, 5:17 p.m.
Central Valley is making its third straight appearance in the Washington State 4A semifinals at 8 p.m. on Friday in Puyallup. The Bears will take on the Pasco Bulldogs in the third meeting between the two teams this year. Central Valley (16-2) lost 5-2 in a nonleague matchup in March and then defeated the Bulldogs 2-1 in regionals. Central Valley’s loss was the first time the Bears have lost to Pasco (17-4) in the last four seasons. Central Valley has accumulated five victories over the Bulldogs since 2014, all of which were won by one goal. In Central Valley’s last two runs to the state semifinals, the Bears crossed paths with Pasco. The Bears won both of those postseason matchups. 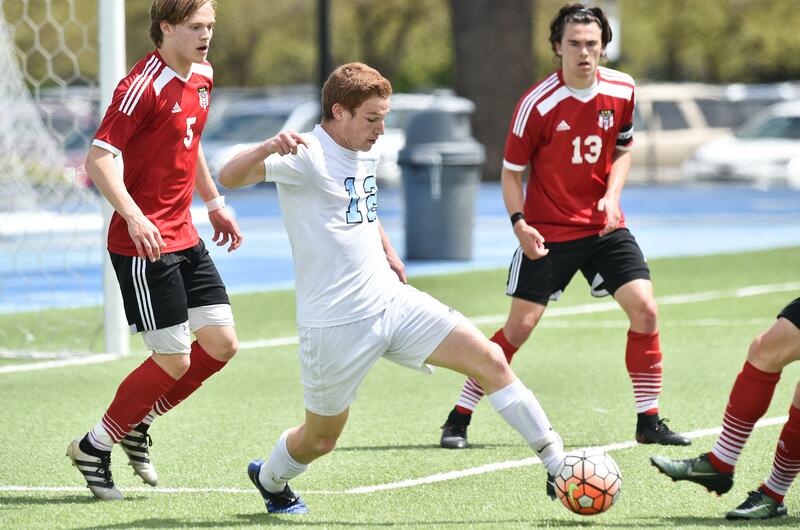 In 2015, Central Valley eliminated the Bulldogs with a 1-0 victory in the second round of the state tournament. The feat moved Central Valley to the semifinals. Last year, the Bears knocked out Pasco again with a 1-0 win in the second round that sent Central Valley to the semifinals for a second straight time. Central Valley head coach Andres Monrroy said the frequent run-ins with Pasco, which plays in the Mid Columbia Conference in central Washington, has instilled somewhat of a rivalry between the teams. Monrroy said the competitiveness between the teams has mostly developed over the last few years, and it has made for some interesting matchups, particularly in postseason. “They have a great program over there and they have great players … they bring the best out of us every match,” Monnroy said. Pasco is coming off a 5-0 win over defending state champion Wenatchee on May 20. Central Valley is also heading into the semifinal after a big win, having defeated Camas 7-1 on May 20. Senior Jake Levine led that victory with two goals and three assists. Levine currently leads the Bears with 18 goals and nine assists. The senior netted one of Central Valley’s goals in the loss to Pasco this year. A win over Pasco would take Central Valley to the championship game on Saturday at 5 p.m. against either Todd Beamer or Glacier Peak, both of which haven’t played in the state tournament in the last six years. Monnroy said there aren’t many nerves heading into Friday’s semifinal, but there is plenty of excitement. “I think that if we do our job … we have a tendency to come out on top,” Monnroy said. Published: May 25, 2017, 4:59 p.m. Updated: May 25, 2017, 5:17 p.m.